Nature can help you see differently. Our approach can help you see nature. 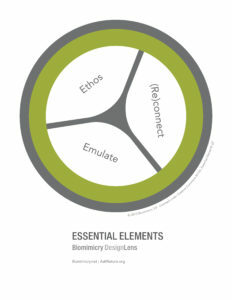 The Biomimicry DesignLens is a collection of diagrams that visually represent the foundations of our design approach. 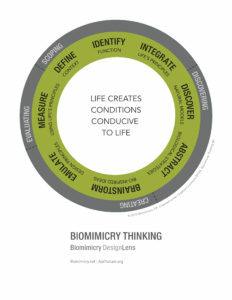 It includes the core components of this approach: Essential Elements, Life’s Principles, and Biomimicry Thinking. The Design Lens is now available in French, German, Spanish, Italian, and Dutch (see links below). Who is the DesignLens for? Biomimicry and the DesignLens can help you deeply observe the way life works, and provide a framework for using nature’s genius to inform human design. The DesignLens is intended to complement your biomimicry practice and education. You can browse the materials on our site, or download the Collateral Folder to print the diagrams or use them in presentations. 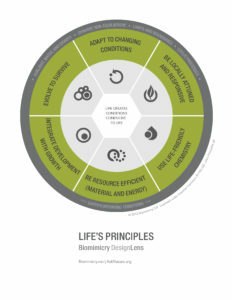 To successfully integrate the DesignLens into your work, it is helpful to have some training in biomimicry methodology. 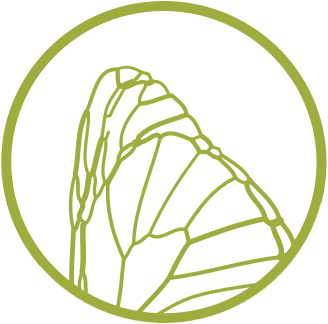 We teach best practices in our biomimicry courses and certificate programs. Our Biomimicry Affiliate partners also offer coursework in biomimicry at the university level. We have developed and refined the DesignLens since 1998, when we began consulting with Fortune 500 companies and teaching educators and students, governments, and non-profits how biomimicry could transform their work. 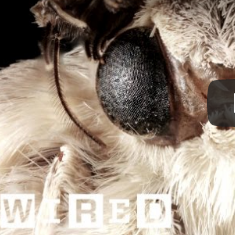 Like life itself, the way we think about biomimicry continues to evolve, and this version of the DesignLens reflects new discoveries in both science and application. We believe that sharing is the currency of a healthy ecosystem. Thanks to our community around the world, French, German, Italian, Dutch, and Spanish translations of the DesignLens are also available. Please distribute these resources to your colleagues. View our Creative Commons usage guide here. 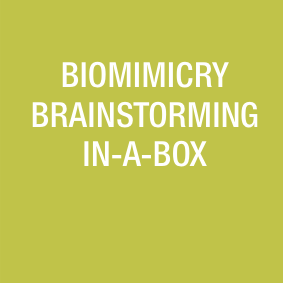 At Biomimicry 3.8, we use the term “designer” broadly to refer to anyone responsible for conceiving of, creating, and implementing ideas that affect human cultural, technological, social, scientific, or financial systems at any scale. Perhaps you didn’t realize you were designing, but you are when you create some new form that had not existed. 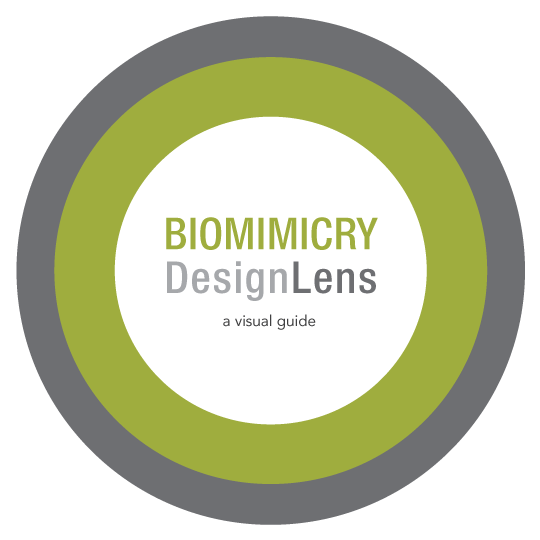 If you’d like to learn more about how to use the Biomimicry DesignLens, consider enrolling in or taking one of our Professional Training programs. 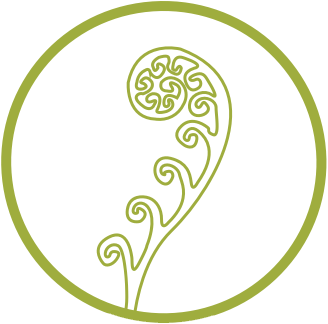 To start, take our self-paced, online course, Introduction to Biomimicry or read the Biomimicry Resource Handbook: A Seed Bank of Best Practices (2013) by Dr. Dayna Baumeister. For more in-depth training, explore the Certified Biomimicry Professional or Biomimicry Specialist Certification program, both of which provide hands-on opportunities to deepen your biomimicry practice and apply these tools to your area of expertise.